The Texas sun can get very hot during the day. The sunlight shines into windows making the house very hot as well. There is help for people suffering from the Texas sun. 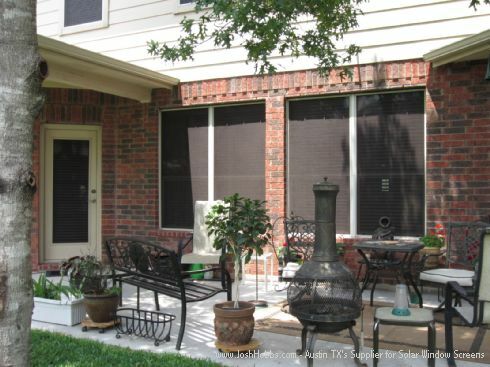 Solar Window Screens can help keep the home or any other building cool by shielding it from the sun’s direct light. The shades are set up on the outside of the window. This creates a barrier between the sun and the inside of the house. The house is then shaded but enough light can get through to be able to see in the room. The rooms will not be completely dark but rather shaded. There is a solar window screen designed to fit any size of window. When the installer comes to put in the shade they will review care the installation process. These shades can help a person stay cool indoors even when dealing with intense heat from the sun.